This image was captured from surveillance video taken during the armed robbery of Little Caesars Pizza around 10:50 p.m. on May 24. 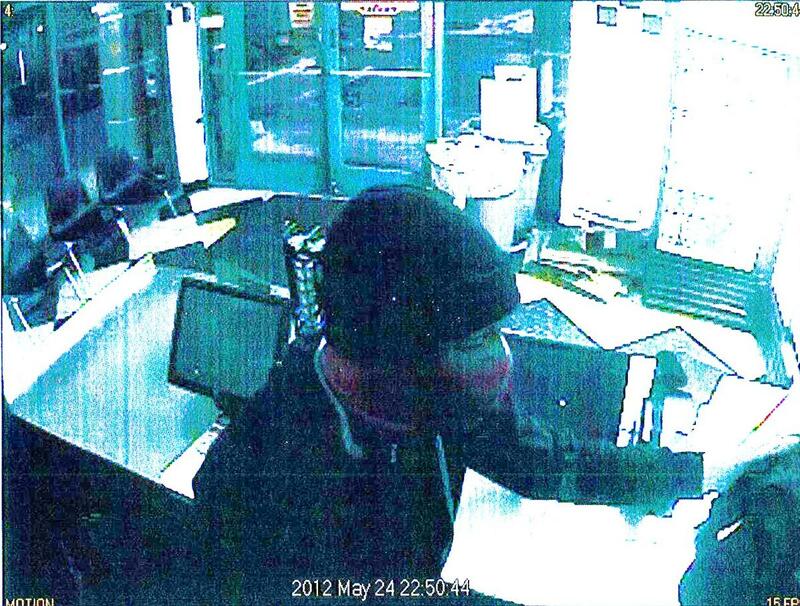 Authorities believe the two men held up CVS Pharmacy about four hours after this robbery and then robbed the drug store again on June 8. 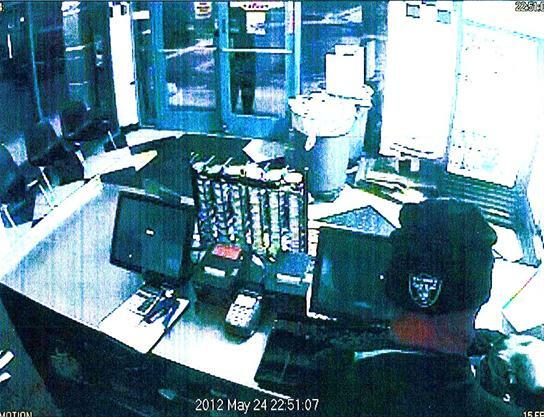 PALMDALE – Palmdale detectives are seeking the public’s in catching two armed robbers who held up a CVS Pharmacy in east Palmdale early this morning. The incident happened around 2:40 a.m., Friday at 2521 East Avenue S.
The suspects are described as two black males in their early 20s, wearing bandanas to cover their faces and dark hooded sweatshirts. Both were armed with handguns, Kennedy said. Authorities believe the same two suspects robbed the store two weeks earlier. Kennedy said the men may have also robbed a Little Ceasars Pizza in Palmdale on May 24. That incident happened around 10:50 p.m. at 38709 Tierra Subida Avenue. The Little Caesars robbery was caught on tape, and authorities have released three images captured from the surveillance video. Detectives may have the identity of one of the suspects, and they’re hoping to make an arrest soon, but they’re also asking for the public’s help, Kennedy said. 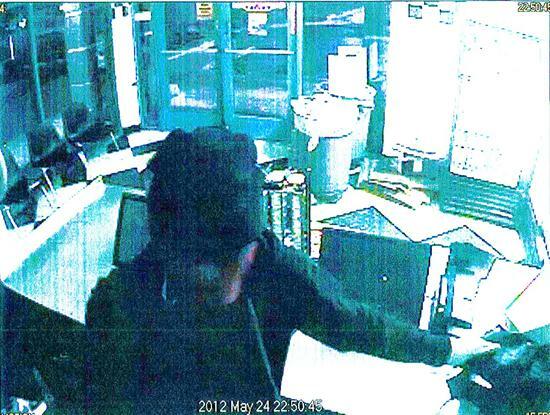 Anyone with information on these robberies is urged to contact Detective Bartlett at the Palmdale Station at 661-272-2400. If you would like to provide information anonymously you can do so by calling Crimestoppers at 800-222-8477. 6 comments for "Armed robbers hit CVS Pharmacy twice in two weeks"
More Watts/South Central/Compton transplants leaving their mark on this town! All the stores in the av should have armed security the only guards i know that do that job are the ones who patrol my property. Of i recall correctly there name is Special Ops Security. Those guys are all armed and all ex military. They dont mess around!!!!!! No security company out there have nothing on this guys. “wearing bandanas to cover their faces and dark hooded sweatshirts”, more hoodies in a crime. I think more businesses in the A.V. should have armed security. But it seems like those who do have security guards that are too afraid to do anything or have elderly or out of shape guards who couldn’t do anything if something happened! Maybe everyone should get trained by the security at Vallarta supermarket. Those guys are scary! 24hr CVS. How scary is that. Other than a gas station, in a high traffic area, why would any business be open 24hr in this valley? I feel bad for the CVS Pharmacy people, they don’t even have alarms to push for help or security guards.